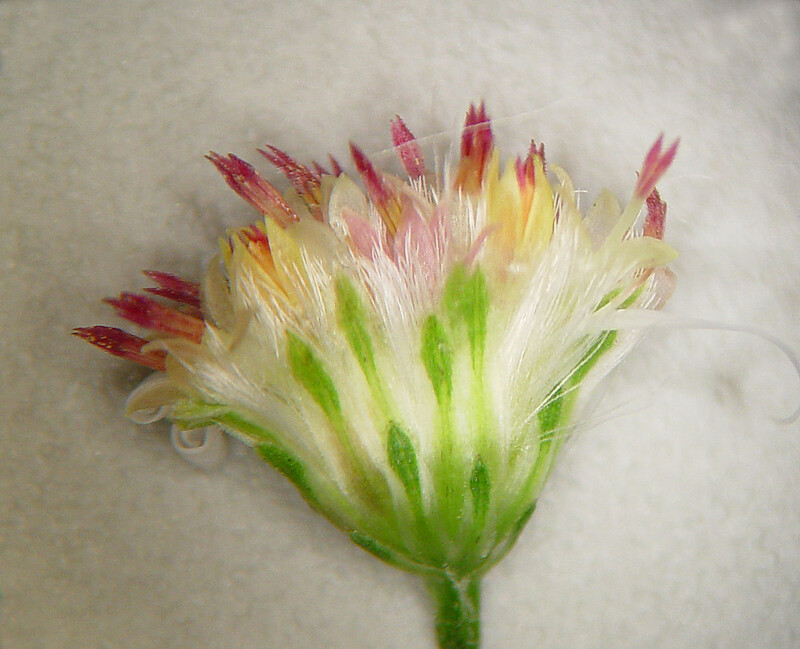 Calico American-aster is so called because the disk flowers start out yellow and turn dark purple or red with age. 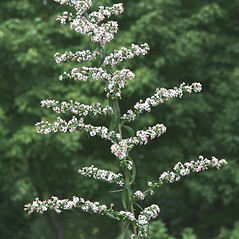 Often a single plant will have flowers of both colors. 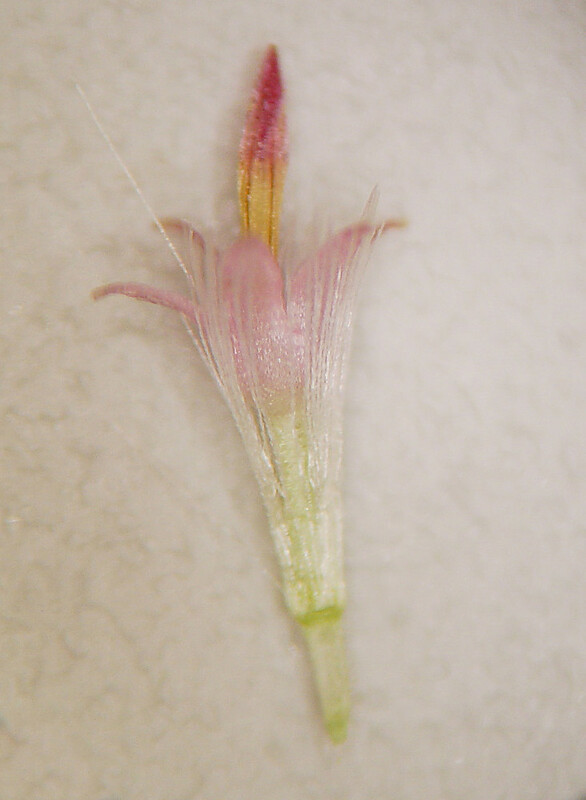 disk flowers with short, ascending lobes and series of involucral bracts mostly 2.5-3.5 mm long (vs. S. lateriflorum, with disk flowers with long, spreading lobes and series of involucral bracts mostly 4-6 mm). 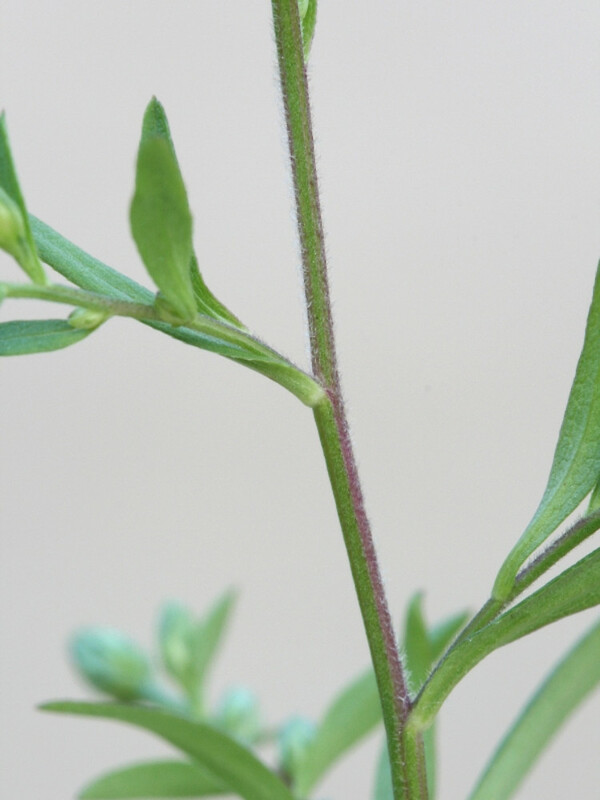 Aster hirsuticaulis Lindl. ex DC. 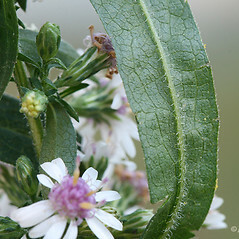 Aster lateriflorus (L.) Britt. var. 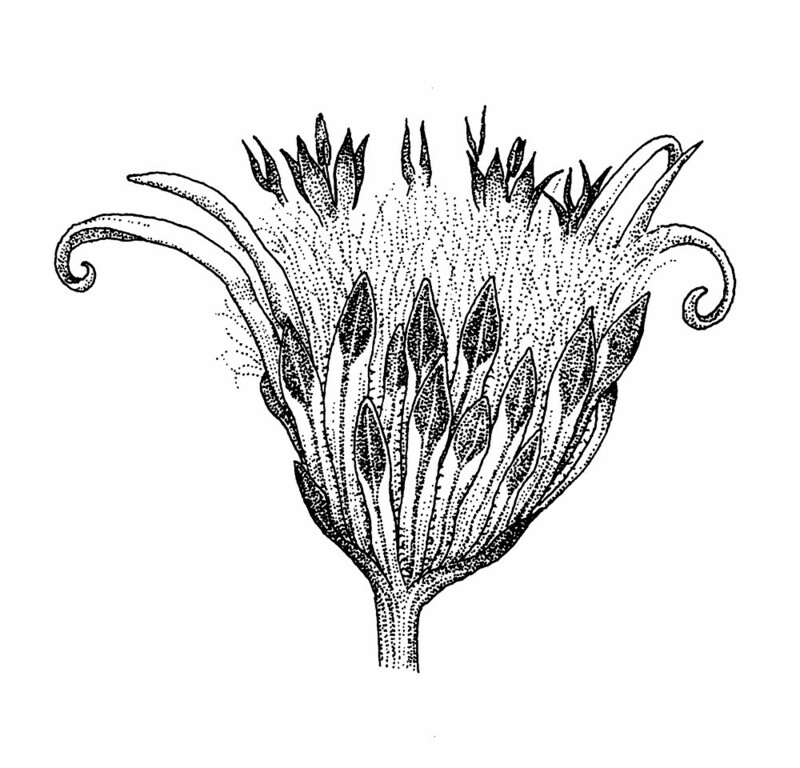 angustifolius Wieg. 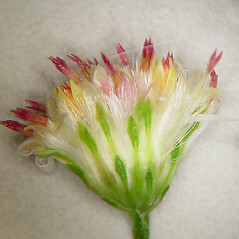 calico American-aster. 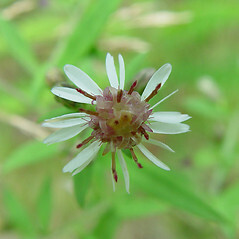 Aster hirsuticaulis Lindl. ex DC. 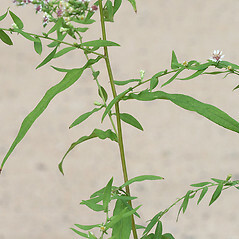 ; A. lateriflorus (L.) Britt. 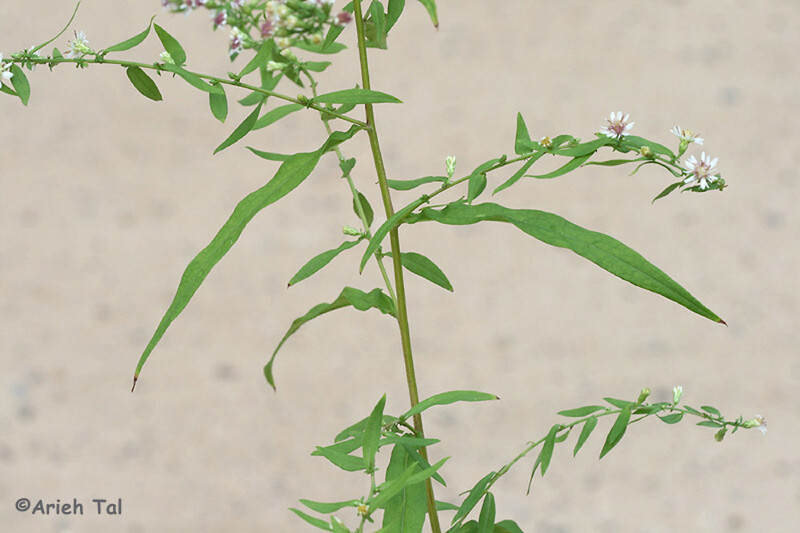 ; A. lateriflorus (L.) Britt. var. 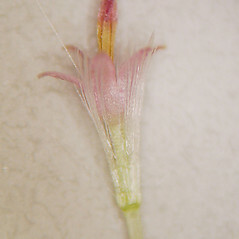 angustifolius Wieg. 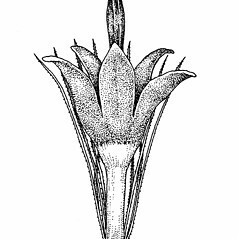 ; A. lateriflorus (L.) Britt. var. 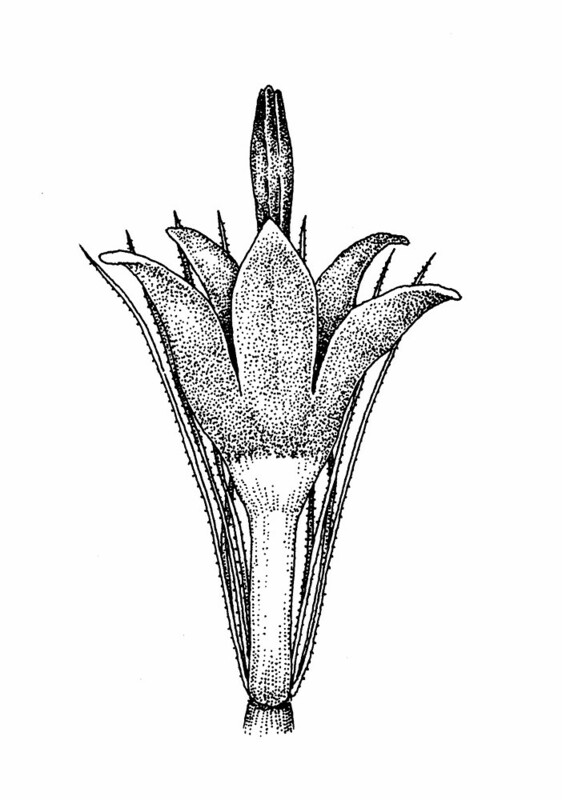 hirsuticaulis (Lindl. ex DC.) 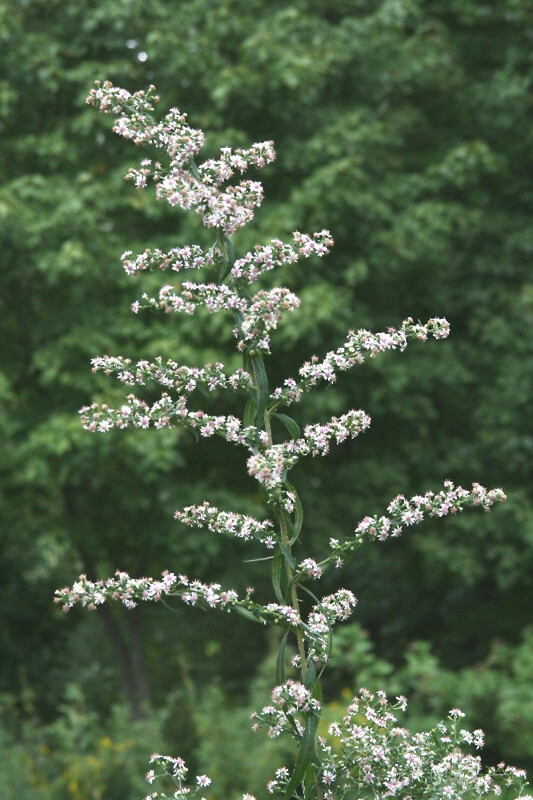 Porter; Solidago lateriflora L. • CT, MA, ME, NH, RI, VT. Mesic to hydric forests, forest edges, and fields. 7×12. 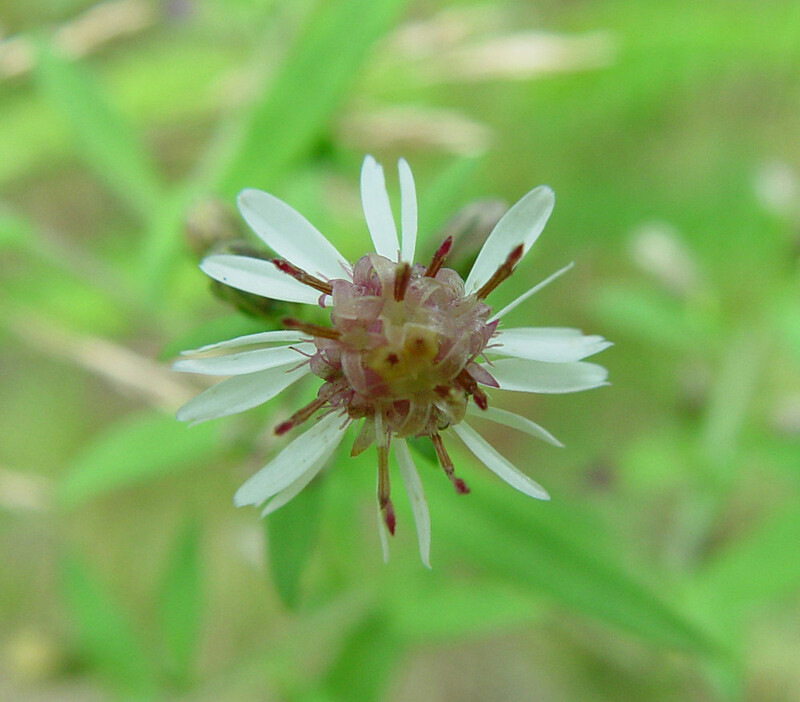 Symphyotrichum dumosum × Symphyotrichum lateriflorum → This very rare American-aster hybrid is known from MA. 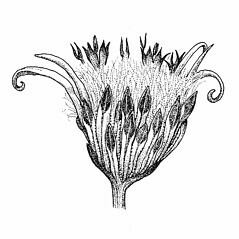 It has the relatively long disk corolla lobes (relative to the length of the corolla limb) as in Symphyotrichum lateriflorum combined with the elongate and copiously bracteate peduncles of S. dumosum. 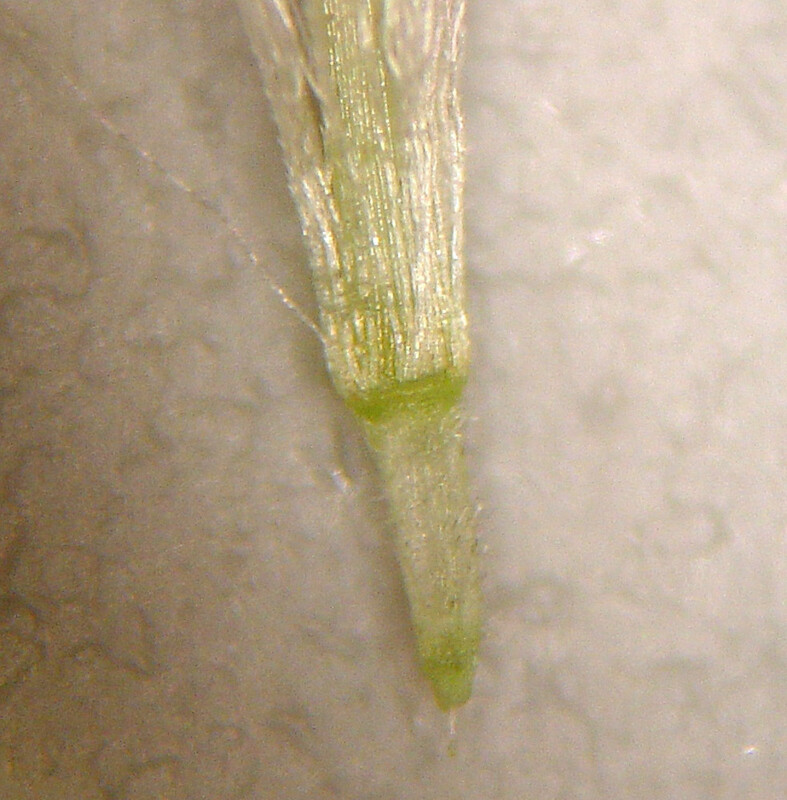 12×21. 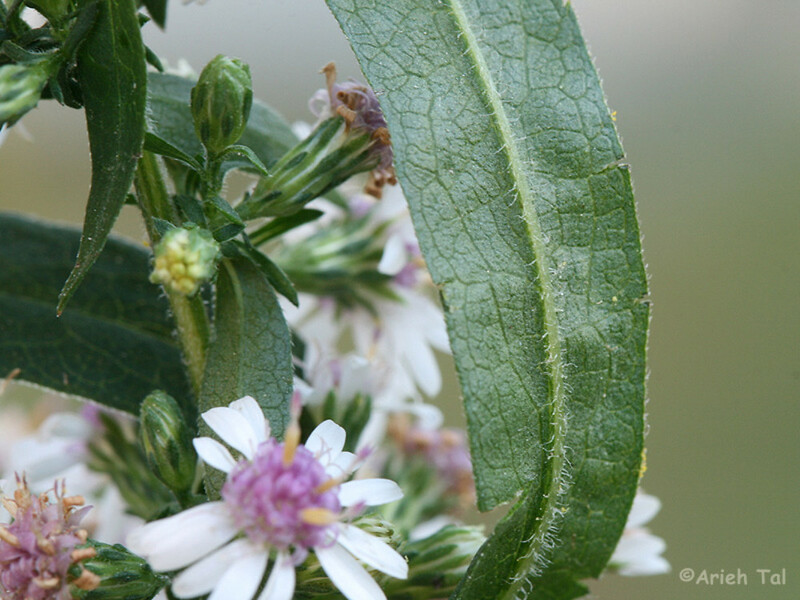 Symphyotrichum lateriflorum × Symphyotrichum puniceum → This uncommon American-aster hybrid is known from MA, ME, VT. It is usually found in wet-mesic forests and usually occurs where the two parental taxa co-occur. 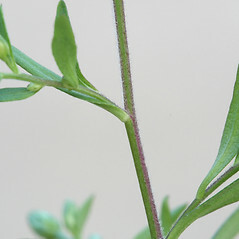 It resembles a slender Symphyotrichum puniceum with leaves that do not clasp at the base and less elongate involucral bracts. 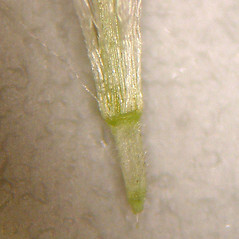 Examination of the disk corolla lobes will show them to be intermediate in the length of the corolla lobes relative to the corolla limb (see identification key for details of ratios).